Over the last few decades and more, if there’s anything that has continuously evolved, surprising us with something new at each turn, it’s TECHNOLOGY. 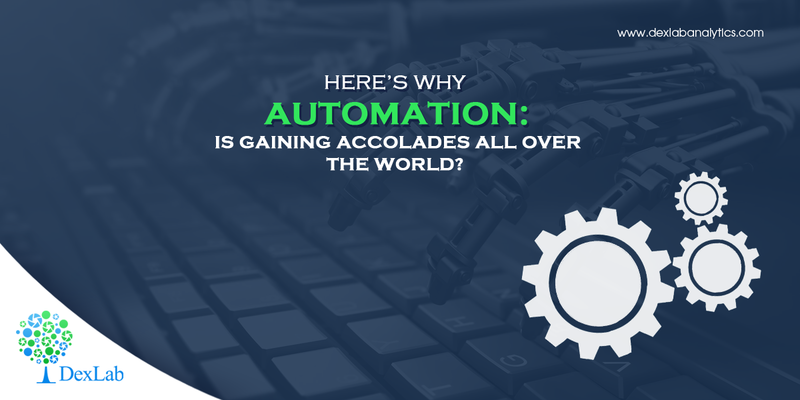 Technological advancements have come to a point where people and businesses have started relying on Automation. Automation is the technology by which a process is performed entirely by means of various control systems and equipments without human assistance. The purpose is to enhance productivity, deliver faster results and save costs, depending on the industry and the extent to which automation is being applied. Automation, which is mostly about streamlining the work process, can take place either by means of implementing intelligence into the existing systems or by replacing the same. Some of these systems operate without human interference while others support humans and pave ways for better productivity. How to introduce automation into the workflow and the procedure of doing that has been a matter of concern for most entrepreneurs. Putting machines to work requires certain considerations. Following are a few smart tips for introducing automation to your business and leveraging the most out of it. Putting the machines to work for you necessitates you to implement the automation tools gradually. This should always be followed by a close evaluation of the existing process so that it is applied to where streamlining is needed the most. Automation is an instant success when you start things manually, but sometimes things can take a downturn if you lack enough knowledge of the domain. The switch to automation should be planned ahead with care. Automation is a change that most people will be reluctant to adopt at least initially. So, it is always better to ensure that there is a solid change management strategy in place to make the technology actually make lives easier and not otherwise. The very notion of automation has been in the minds of entrepreneurs as well as traditionalists for around centuries. For an example, an elevator that’s been in existence for so many years is an automation tool for mobility. Recently, massive breakthroughs have been achieved in this budding field, and cloud computing is one of them. It has driven the cost of storage solutions really down, while pushing machine learning skills to a new high. In short, while automation has always been more of a IT tool, it’s now finding its footing in other domains within an organization. “Whether it’s a catalog or an app, it now allows me as a consumer to control things when they’re happening,” says Marc Wilkinson, CTO for Workplace and Mobility at DXC. As it’s said, automation isn’t about eliminating jobs instead it’s more about creating efficiencies. If the work done in twice the speed, it would be more efficient and employer will benefit from productivity gains and the employees in the event will hit off high-impact projects. So, in a sense, automation won’t entirely result in lower employee headcount, though it may affect a certain kind of employment. High-touch occupations will witness limited impact. For an instance, hospitals have to very much human-to-human; they can’t go totally automized. In case, you are thinking of having a career in automation, get enrol in a good Machine Learning Certification course. DexLab Analytics offers some of the best machine learning training in Delhi, NCR region: go check out the course itinerary.